The dental crown refers to the visible part of the tooth that emerges from the gum. By extension, a dental prosthesis (or prosthetic crown) is called a dental prosthesis which is attached either to a prepared natural (vital) tooth or to an inlay-core. The inlay-core is a coronal reconstruction intended to serve as a structure for the prosthetic crown, on an altered tooth (following an endodontic treatment) or an implant (artificial titanium root). Applied to the remaining tooth like a hat, the prosthetic crown has the advantage of reconstituting and protecting the dental crown while avoiding its extraction and its complete replacement. Our Laboratory ensures a crown creation in ceramic (zirconium) or with a gold infrastructure. Our Laboratory ensures a crown creation while ceramic (zirconium) or with a gold infrastructure. A bridge designates a so-called joint fixed dental prosthesis which makes it possible to replace one or more missing tooth (teeth) by relying on the adjacent teeth (dental or implant abutments). Our Ceramic Craftsmen are involved in all the stages during the placement of the prostheses. 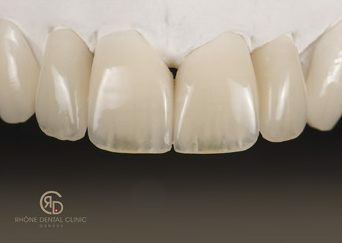 For example, on a central tooth, the ceramist can first work on the prosthetic tooth in the mouth, to illuminate it, by giving it the necessary reflections and shine, before the firing of the ceramics. 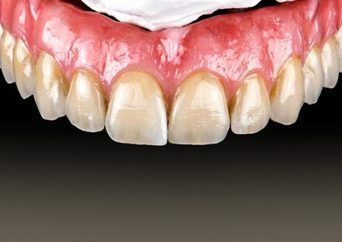 In case of bone loss, the polychromic ceramic gingiva represents an aesthetic alternative to avoid surgery or bone grafting. 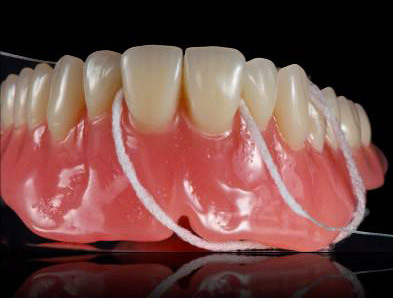 The technological evolution and the know-how of our ceramic craftsmen make it possible to create a pigmentation of the artificial gingiva which is very close to the natural tissues of the patient (gradient of the hues, transparency, simulation of the vascularisation, etc.). For patients who do not want surgery or implants, we continue to offer treatment plans with removable prostheses. These prostheses replace one (partial denture) or more missing teeth, or, in some cases, all the teeth (total prosthesis). Our laboratory, which only uses the latest technologies, now offers nylon resin hooks, much less visible than traditional metal hooks. Entirely biocompatible, this solution is also much lighter, more comfortable and aesthetic.